DBS Airport GPS - is the new way to navigate while taxiing in airport! Now, driving in any airport is like to drive your car on the streets with your favorite Car GPS. Run GPS and follow the route from gate to runway. Touchdown and taxiing by GPS route to any parking! DBS Airport GPS shows top-down view of the airport map. Map could be dragged by mouse and zoomed by mouse wheel. Route path calculated from current aircraft position to runway, parking, gate, helipad. 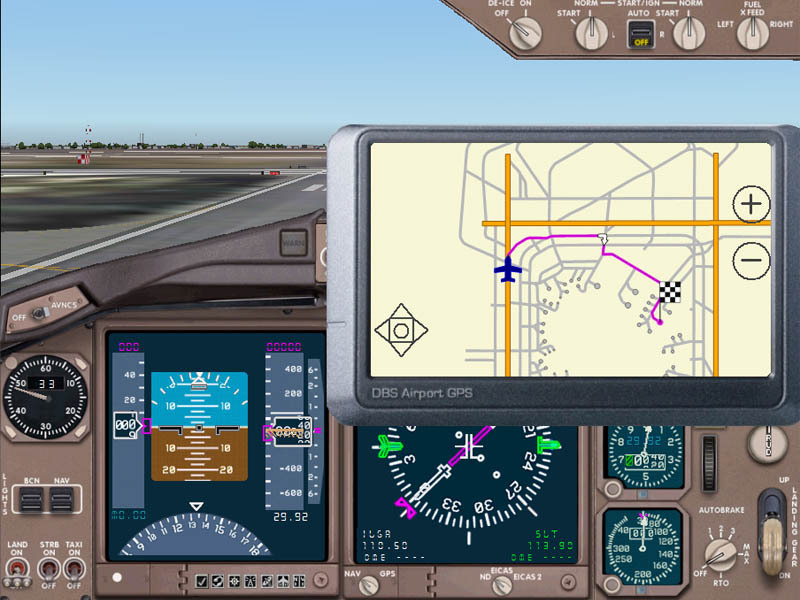 DBS Airport GPS created as most-used automotive GPS and present special interface, that provides ability of customization for different tasks like implementation into simulator GPS or adapting to custom panel. Buy it now, and see that it's real fun to drive with a gps in your preferred airport! DBS Airport GPS requires email activation after installation. Downloadable link would be sent after purchase.